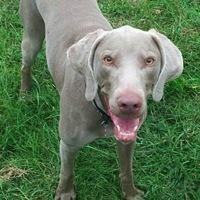 - Pennsylvania Weimaraner Rescue - ADOPTIONS - Rescue Me! Sam is an energetic loyal dog. He needs a home with more time for exercise or another friend to keep him busy.